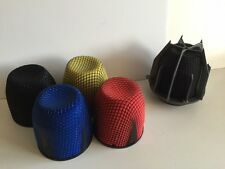 Available in assorted color as pictured: RED, BLUE, YELLOW, BLACK. Weapon-R Dragon Intake System For 2002-2006 Nissan Maxima 3.5L/2003-2005 Murano 3.5L/2002-2006 Altima 3.5L. For The Best-of-the-Best, Top-Performing Intake on the market. highly rated intake systems in the world. Weapon-R Dragon Intake System For 1993-2001 Nissan Altima. Our Weapon-R Dragon Intake Systems Include a World Famous Dragon Filter , which providesmaximum airflow, with theprotection of high quality dense Polyurethane Foam. Weapon-R Secret Weapon RAM Air Intake System for 1993-2001 NISSAN ALTIMA 2.4L. Hands down, theSecret Weapon Intake is #1 ! Warranty included, 1 million miles. TheWeapon-R Secret Weapon Intake includes. Weapon-R Dragon Intake System For 2003-2008 Toyota Corolla S/Matrix. For The Best-of-the-Best, Top-Performing Intake on the market. highly rated intake systems in the world. An After Market Intake is one of the First Things You Should Upgrade When Modifying Your Car. Air filter material : Cotton Filter. Condition : New. Therefore all implied warranties that may apply to your part are limited to the duration of this written warranty. Each warranty gives you specific rights, and you may have other rights which vary from state to state. Weapon-R Secret Weapon Intake System For 1992-2004 Bmw 3 Series V6. Hands down, theSecret Weapon Intake is #1 ! Warranty included, 1 million miles. TheWeapon-R Secret Weapon Intake includes Our Weapon-R Secret Weapon Air Intake. 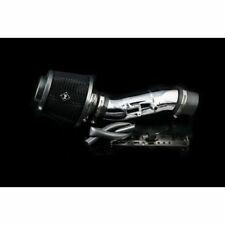 Weapon-R Dragon Intake System For 1999-2004 VWJetta 1.8T 2.0L VR6/Golf 1.8T 2.0L VR6. For The Best-of-the-Best, Top-Performing Intake on the market. highly rated intake systems in the world. An After Market Intake is one of the First Things You Should Upgrade When Modifying Your Car. Picture 1 : Picture of the PATENTED " Secret Weapon Intake Pipe " design. You can see the smaller inner tube used to increase velocity. The airflow through the inner tube has a higher velocity than a standard 3" intake pipe. The Secret Weapon Air Filter is a result of years of testing and tuning of air intake velocity, Air mass and Airspeed. The Secret Weapon Air Filter provides maximum airflow with the protection of high quality dense Poly Urethane Foam. Weapon-R Secret Weapon Intake System For 2007 Ford Explorer 4.0L V6. Picture 1 : Picture of the PATENTED " Secret Weapon Intake Pipe " design. You can see the smaller inner tube used to increase velocity. It combines the highest standards of construction and the best industry standards to get the optimum performance from your car.Weapon R secret Intake System gives you better gas mileage and deepens the sound of your car making it more aggressive as you step on the throttle. For The Best-of-the-Best, Top-Performing Intake on the market. highly rated intake systems in the world. An After Market Intake is one of the First Things You Should Upgrade When Modifying Your Car. Weapon-R Secret Weapon RAM Air Intake System for 2006-2008 TOYOTA RAV 4 2.4L 4 CYL. Hands down, theSecret Weapon Intake is #1 ! Warranty included, 1 million miles. TheWeapon-R Secret Weapon Intake includes. Our Weapon-R Dragon Intake Systems Include a World Famous Dragon Filter , which providesmaximum airflow, with theprotection of high quality dense Polyurethane Foam. Studies have shown Flow rates of up to80% more Air with theDragon Filter, leading to better Dirt Filtration than the conventional cotton filter. Weapon-R Secret Weapon RAM Air Intake System for 2008-2013 SCION XB. Hands down, theSecret Weapon Intake is #1 ! Warranty included, 1 million miles. TheWeapon-R Secret Weapon Intake includes Our Weapon-R Secret Weapon Air Intake. Weapon-R Secret Weapon RAM Air Intake System for for 2004-2011 MAZDA MAZDA3 2.0L & 2.3L. Hands down, theSecret Weapon Intake is #1 ! Warranty included, 1 million miles. TheWeapon-R Secret Weapon Intake includes. Hands down, theSecret Weapon Intake is #1 ! Warranty included, 1 million miles. TheWeapon-R Secret Weapon Intake includes Our Weapon-R Secret Weapon Air Intake. Weapon-R High FlowSecret Weapon Performance Air Filter. Nissan Sentra 2002 SE-R Sedan 4-Door 2.5L 2500CC l4 GAS DOHC Naturally Aspirated. Nissan Sentra 2003 SE-R Sedan 4-Door 2.5L 2500CC l4 GAS DOHC Naturally Aspirated. Nissan Sentra 2006 SE-R Spec V Sedan 4-Door 2.5L 2500CC l4 GAS DOHC Naturally Aspirated. Weapon-R Dragon Intake System For 1988-1991 Honda Civic 1.6L. For The Best-of-the-Best, Top-Performing Intake on the market. highly rated intake systems in the world. An After Market Intake is one of the First Things You Should Upgrade When Modifying Your Car. Weapon-R Secret Weapon Intake System For 2000-2005 Toyota Celica All Models. Neo Titanium Design! Hands down, theSecret Weapon Intake is #1 ! Warranty included, 1 million miles. TheWeapon-R Secret Weapon Intake includes. Air Intake. Center Bore text spec 8. Offset text spec 7. Finish text spec 6. Bolt Pattern text spec 5. Weapon-R Dragon Intake System For 1993-1998 VW Jetta 4 Cyl 8 Valve/Golf 4 Cyl 8 Valve/Cabrio 4 Cyl 8 Valve. For The Best-of-the-Best, Top-Performing Intake on the market. highly rated intake systems in the world. Weapon-R Dragon Intake System For 1992-1993 Lexus ES300 3.0LV6/1992-1993 Toyota Camry 3.0L. Our Weapon-R Dragon Intake Systems Include a World Famous Dragon Filter , which providesmaximum airflow, with theprotection of high quality dense Polyurethane Foam. 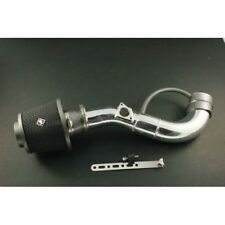 Weapon-R Dragon Intake System For 2003-2006 Nissan 350Z. Our Weapon-R Dragon Intake Systems Include a World Famous Dragon Filter , which providesmaximum airflow, with theprotection of high quality dense Polyurethane Foam. Weapon-R Dragon Intake System For 1999 Subaru Impreza 2.2L 2.5L/Forester 2.2L 2.5L/Legacy 2.2L 2.5L. For The Best-of-the-Best, Top-Performing Intake on the market. highly rated intake systems in the world. Weapon-R Secret Weapon RAM Air Intake System for 2001-2004 TOYOTA HIGHLANDER 2.4L 4 CYL. Hands down, theSecret Weapon Intake is #1 ! Warranty included, 1 million miles. TheWeapon-R Secret Weapon Intake includes. Weapon R Dragon Intake Systems are one of the mostly highly rated intake systems in the world. Used in many countries in many different forms of racing. This Intake is matched with our World Famous Dragon Filter, which provides maximum airflow, with the protection of high quality dense Poly Urethane Foam. The concept is to create two different air velocity profiles, one traveling at higher speeds than the other. The intake pipe is bent out of high quality 6061 Aluminum on our Automated CNC mandrel bender. The concept is to create two different air velocity profiles, both traveling at different speeds. All automotive products sold are for use in the United States (USDM) market only.